A NASA mission whose goal is detecting asteroids and comets that come near Earth’s orbit has recently spotted two: one a comet and one an apparent comet/asteroid hybrid, traveling in Earth’s vicinity. Neither object presents any threat of impacting our planet. NEOWISE, the extended mission part of NASA’s Wide-field Infrared Survey Explorer (WISE) project that searches for potentially hazardous asteroids and comets, spotted a short-term comet dubbed C/2016 U1 (NEOWISE) about two months ago and an ambiguous object that could be either an asteroid or comet, identified as 2016 WF9, in late November. Because it was seen releasing dust on approach to the Sun, C/2016 U1 is undoubtedly a comet, and it could become visible from Earth through binoculars next week. Its visibility is hard to predict because comets tend to vary in brightness, explained Paul Chodas who manages NASA’s Center for Near-Earth Object (NEO) Studies at the Jet Propulsion Laboratory (JPL) in Pasadena, California. Viewers in the northern hemisphere should look for it before dawn in the southeast. Currently traveling in a southward direction, the comet will reach perihelion on January 14, then head back to the outer Solar System. C/2016 U1 is a long-term comet that has a perihelion within the orbit of Mercury. It takes several thousand years to complete one orbit around the Sun. 2016 WF9 has an aphelion near the orbit of Jupiter and a perihelion slightly within Earth’s orbit. It takes 4.9 years to travel past the orbits of the asteroid belt and Mars before heading back toward Jupiter’s region. Scientists are uncertain as to whether this object is a comet or asteroid although they know it is large, with a diameter between 0.3 and 0.6 miles (0.5 to one kilometer). It is also dark, reflecting only a small percentage of the sunlight that hits it. While 2016 WF9 has the reflectivity and orbit of a comet, it does not have the cloud of gas and dust typical of comets. It could have originated as a dark object in the asteroid belt or as a comet in the outer Solar System. “2016 WF9 could have cometary origins. This object illustrates that the boundary between asteroids and comets is a blurry one; perhaps over time, this object has lost the majority of the volatiles that linger on or just under its surface,” said NEOWISE Deputy Principal Investigator James Bauer of JPL. On February 25, 2017, this object will make its closest approach to Earth, coming within 32 million miles (51 million kilometers), which is still a significant distance. Most near-Earth objects are dark, as they absorb the majority of sunlight that falls onto them. NEOWISE team member Joseph Masiero noted they can be darker than charcoal. 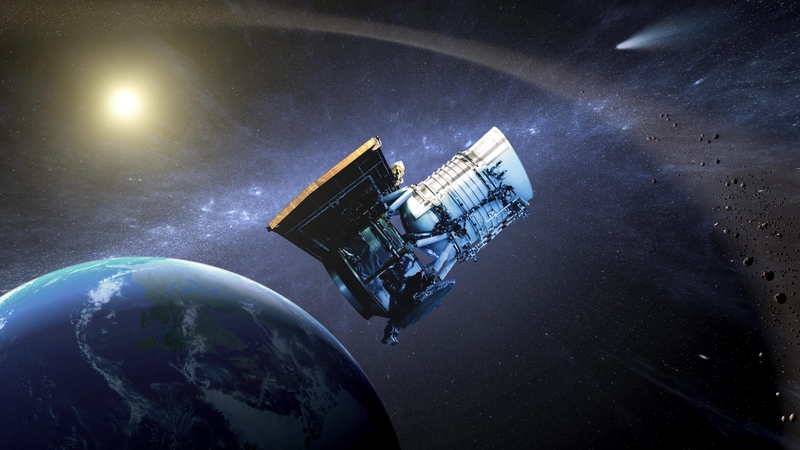 NEOWISE uses infrared detectors, which make it capable of studying both dark- and light-colored near-Earth objects. Using its data, scientists are able to accurately measure these objects’ sizes. Launched in December 2009, NEOWISE has discovered 31 asteroids as they passed within a distance of approximately 20 times that of the Earth and Moon. Nineteen of those asteroids have sizes larger than 460 feet (140 meters) and reflect less than ten percent of the sunlight they receive. 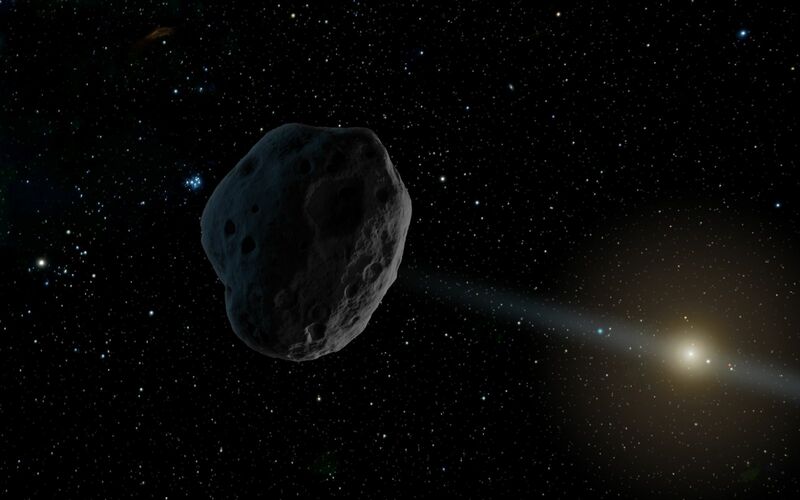 Depending on its ultimate designation, 2016 WF9 will be either the tenth comet or the 100th asteroid discovered by NEOWISE since resuming operations on December 19, 2013, after being reactivated in September 2013 from its 31-month-long hibernation. The spacecraft has discovered more than 34,000 asteroids in its initial mission. NEOWISE data is available online, along with a guide to accessing the information.